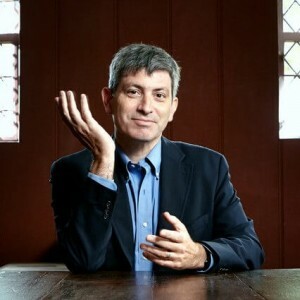 Carl Zimmer is an award-winning New York Times columnist and the author of 13 books about science. Zimmer’s writing has earned a number of awards, including the 2016 Stephen Jay Gould Prize, awarded by the Society for the Study of Evolution to recognize individuals whose sustained efforts have advanced public understanding of evolutionary science. In 2017, he won an Online Journalism Award for his series of articles in which he explored his genome. He is, to his knowledge, the only writer after whom a species of tapeworm has been named. His newest book is She Has Her Mother’s Laugh: The Powers, Perversions, and Potential of Heredity.